AICSYS Inc. is offering OEM/ODM service for customized Printed Circuit Boards Assembly- PCBA. Recently many customers asked for different type of PCBA products as the standard PCBA can't meet their demands. AICSYS SHB backplane: BPE-1308A, a full-size PICMG 1.3 backplane. 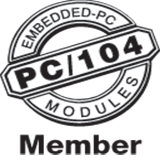 The BPE-1308A enables the advantages for the Graphics solution by allowing system integrator to include graphics add-on card with PCI Express x16 interface. AICSYS Inc. proudly presents the RCK-407 for 4U 19" Rackmount Storage Server. This Chassis created to be compatible for Single board computer by using 14-slot backplane for RCK-407BA or ATX motherboard for RCK-407MA. he RCK-407 4U Rack mount Chassis provides a classy and resourceful solution for a variety of Industrial applications using single board computer with 14slot backplane and ATX motherbaord. Besides external four 5.25" bays and one 3.5" bays, RCK-407 offers two internal 3.5" shock resistive drive bays. Two levels tem-perature management relies on one ball bearing 12cm fan on the front and System Environmental Monitor that warns users when the system temperature is above normal. RCK-407 offers two alternative positions for two 2.0 USB ports & supports 4U ATX Power Supplies. Aicsys Inc design Compact Mini-ITX Chassis with four Mobile Racks, supports Flex ATX Power Supply. The WMC-505M is designed for NAS storage, network or digital video recording system, and server application with space saving designs. 1U 19" RCK-103BR is a heavy duty steel constructed rackmount chassis with only 422 mm (16.6") depth, but it is able to support a full size SBC through a PICMG 1.0 with 3 PCI slots or a PICMG 1.3 butterfly backplane with 1 PCIe x 16 slots.